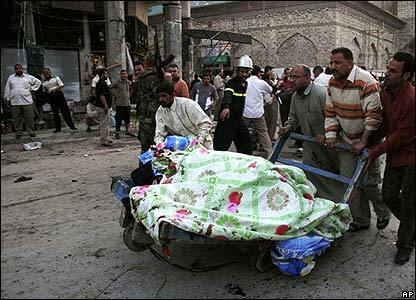 In the minutes after a suicide bomber struck in the Iraqi city of Karbala, people were using blankets and stretchers to remove the bodies of the dead. A market trolley was used to trundle some victims away. At least 42 people are known to have been killed. 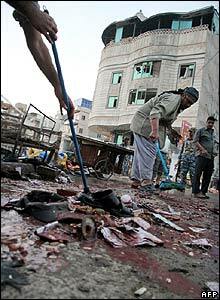 Brushes were used to clear up the blood and debris. 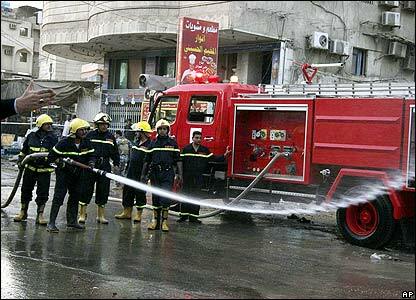 A fire engine's hose wiped away the traces of the carnage. 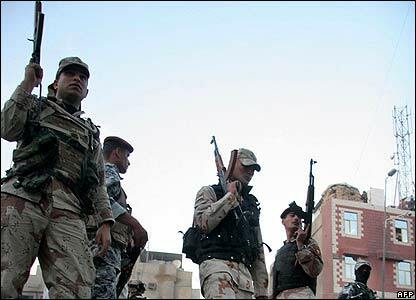 Security forces stood around with rifles at the ready in a city which has been targeted by bombers in the past. 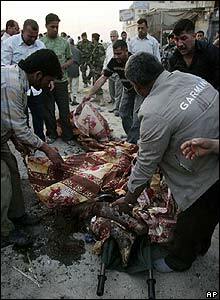 The Iraqi capital, Baghdad, also saw several bomb attacks. 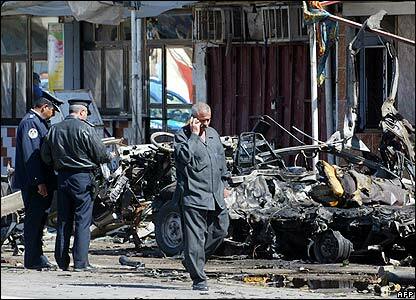 At least nine people were killed.